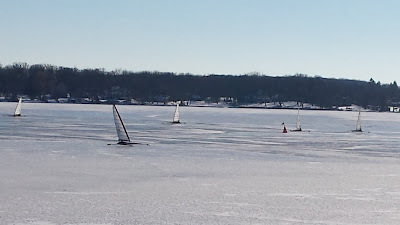 The overall activity for Delavan Lake sales in 2015 was very similar to what we saw in 2014. Sales levels were flat, but prices edged up slightly. In 2015 there were 17 homes sold with water frontage on Delavan Lake which was the same amount that we saw change hands in 2014. On the main body, there were 13 sales compared to 10 in 2014. The prices ranged from $440,000 for a three bedroom off of South Shore Drive to $1,599,000 for a four bedroom, three bath walkout ranch on 150 feet of level North Shore frontage. For the North Shore property, it was the third time the property had sold in the last seven years. Lake access sales were fairly steady with 37 trading hands in 2015 compared to 39 in 2014. Prices ranged from a $50,000 foreclosure in the Delmar Subdivision to $425,000 for a newer five bedroom in Assembly Park. 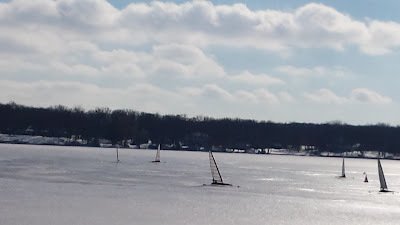 There were 15 Delavan Lake condos sold in 2015 which is the same amount that was sold in both 2013 and 2014. Sales ranged from a $43,000 condo/hotel room in the Delavan Lake Resort to a $245,000 three bedroom Garden unit in Geneva Landings. The inventory for lakefront and lake access homes has increased in 2015 over 2014. There were only 43 units available at this time in 2014 compared to 53 today. This is similar to what we saw on the market in 2013. 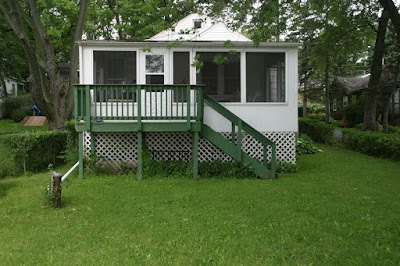 Prices for lake access homes start at $63,500 for a two bedroom bungalow in need of repair located on Fleming Drive to $669,000 for a five bedroom colonial with lake views and a shared pier off of Willow Point Drive. The Willow Point property is being offered for $270,000 over the assessed value. Perhaps they will throw in a couple of other lake access properties for a full priced offer. As for lakefront offerings, the starting point is a bargain priced $329,900 four bedroom two-story on the Inlet that includes 50 feet of frontage. The most expensive lakefront at this time is a classic five-bedroom estate with 121 feet of level south shore frontage with a listing price of $1,999,000. Built in the early 1900s, the home rests on 4.9 acres and includes an in-ground pool, first and second floor master suites, gourmet kitchen and expansive front porch. Current offering at 3105 South Shore Drive includes 121 feet of level lakefront. 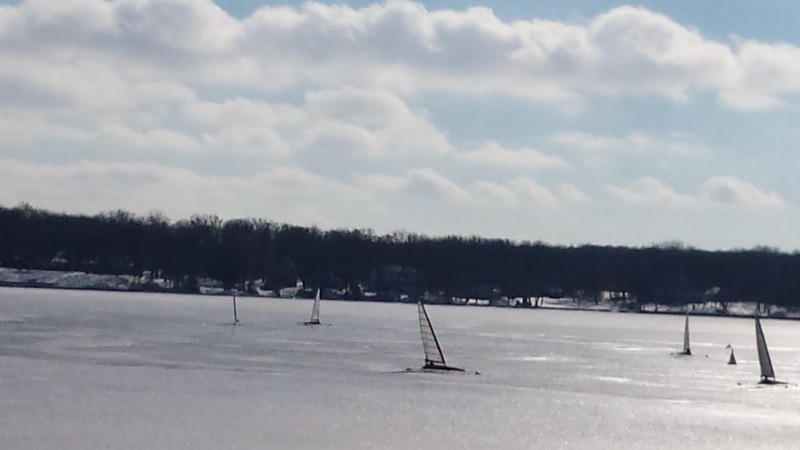 There are 14 condos for sale with lake access to Delavan. This is one less than last year. The price range for these units starts at $80,000 for a two bedroom condo/hotel in the Lake Lawn Resort and increases to $295,000 for a three bedroom Garden unit in Geneva Landings. Geneva Landings Garden Unit available for $295,000. 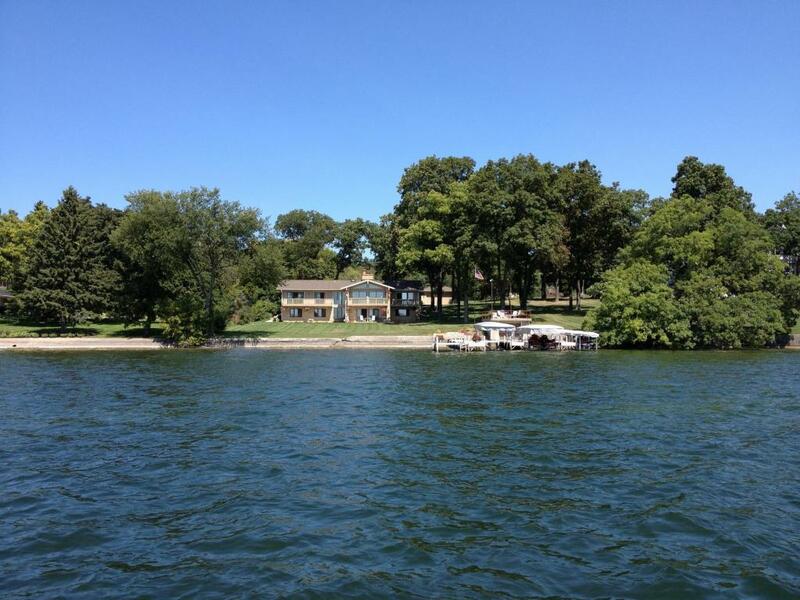 The best value for a lake access property on Delavan is located at 4005 Maple Drive in the Ravenswood Subdivision. Listed at only $115,000, this three bedroom cottage offers lake views, and a boat slip. It is priced over $50,000 less than anything else that has a deeded boat slip. Best value lake access property at 4005 Maple Drive. 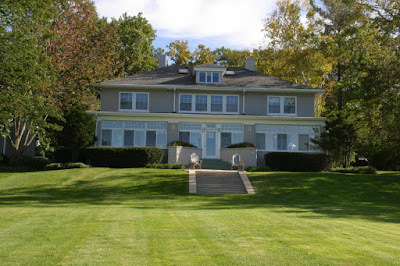 The best value for a Delavan lakefront is located at 2524 North Shore Drive. This four bedroom contemporary home combines romantic charm of lead glass windows and multiple deck spaces with remodeled conveniences in the kitchen and master suite. Priced at only $750,000, the property boasts 80 feet of private frontage and an oversized pier. 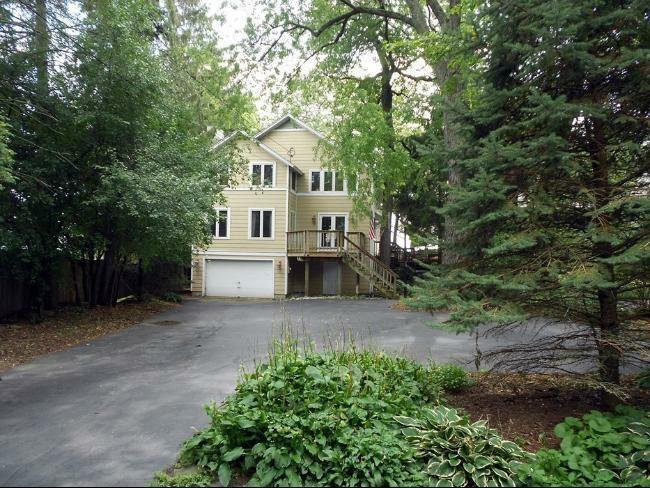 Best value Delavan lakefront located at 2524 North Shore Drive. 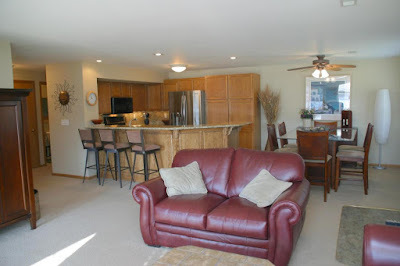 The best value for a Delavan Lake condo is a three bedroom town house in Geneva Landings. Listed for $189,400, the unit has been completely renovated and includes an attached two-car garage. The complex contains an outdoor pool, club house, boat slips, and a fitness room. 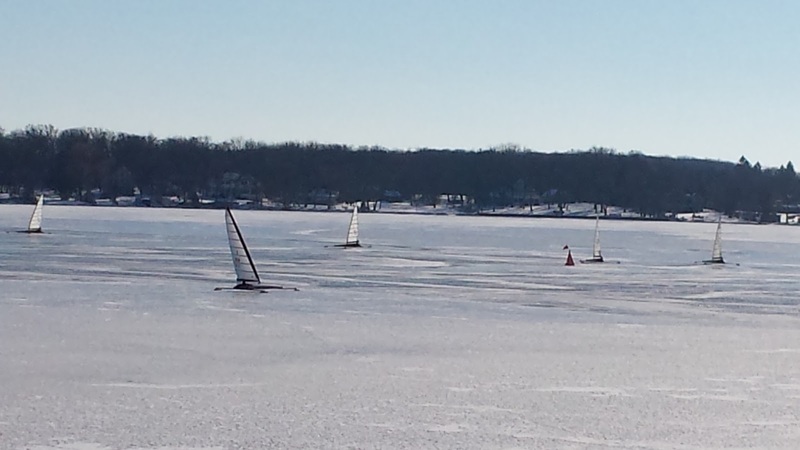 In case you were wondering what to do on Delavan Lake when the temperature outside fell into the single digits. Here is your answer. Listen to the video as the boat round the mark. Some of these Bad Boys will exceed 60 miles an hour. Better wear your helmet.